U.S. federal tax laws allow for charity donations to be deducted from personal taxes each year. 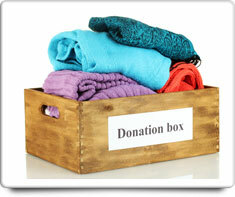 Qualified charitable agencies such as the Salvation Army, Goodwill, etc. welcome charity donations of household goods, which provide jobs for people to rehabilitate the items, and prepare them for use or sale to those less fortunate. Shown in the 'Routine Care' section are the recommended routine maintenance tasks for your charity donations. The 'Q & A' section shows answers to common questions. And the 'Articles' section provides helpful articles about your charity donations.